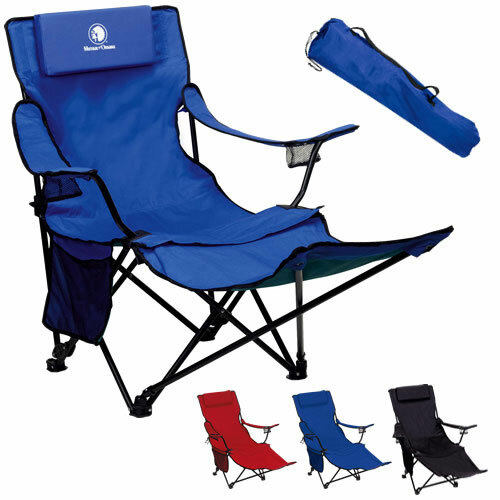 Recliner and Captain's Chair in one. This folding, 2 position recliner with removable footrest is perfect for any outdoor event. 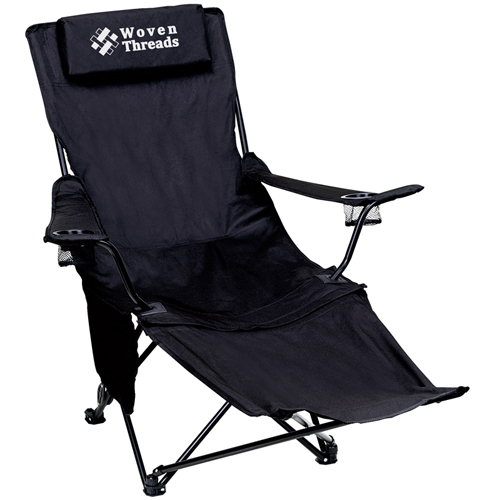 Includes a nylon carry bag with drawstring! 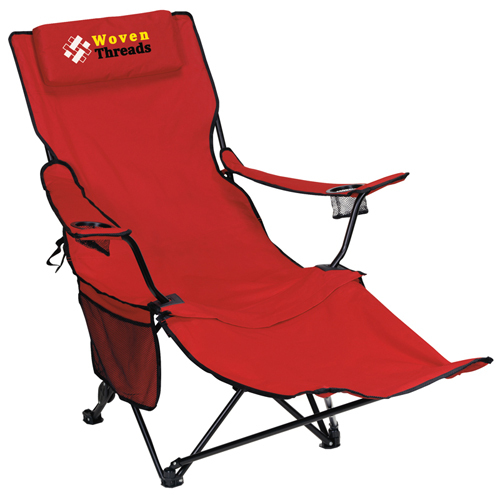 This recliner has a removable footrest, 2 mesh can holders and mesh magazine pocket. Materials: (Seat) 600D polyester, (Frame) Powder Coated Steel. Bulk / 20 lbs / 2 pcs. / 36 x 13 x 17box.